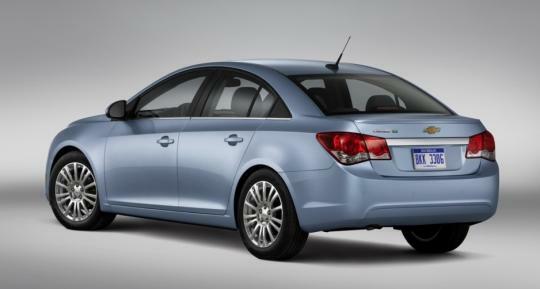 GM has issued a recall for the 2011 and 2012 model year Chevrolet Cruze sedans due to a potential fire hazard that could occur underneath the hood. The recall covers 475,000 vehicles made in the U.S between September 2010 and May 2012. This is the car's fifth recall since it arrived in the showrooms nearly two years ago, raising questions about the sedan's reliability. The company said that fires can ignite when fluids, mainly from improper engine oil change procedures, spill onto a plastic shield below the engine. Cruzes with worn-out manual transmissions also can leak fluid onto the shield in rare cases. GM will notify owners to bring their vehicle to local dealers for a 30-minute free rectification. The repair work involves cutting the plastic shield to let the fluids drain to the pavement, GM said. Unfortunately, the risk is real as GM is aware of 30 fire incidents caused by the problem. The lucky thing is that no injuries have been reported, spokesman Alan Adler said. Flames engulfed and destroyed two cars among the cases reported to federal safety officials. 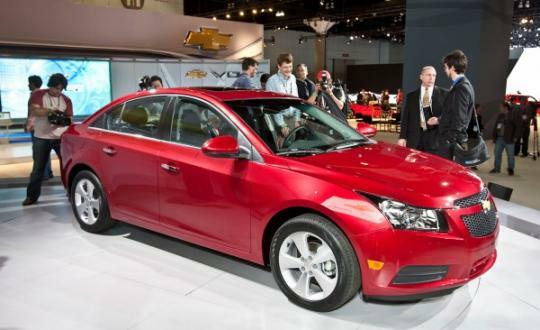 In a separate recall, GM says 249 units of the Cruze have welds missing from a bracket that holds the fuel tanks. Federal safety officials say the tanks could come lose in a crash, possibly leaking and causing fires. Dealers will secure brackets with fasteners. "The most important thing for our customers to know is that we are proactively working to assure the Cruze is the safe and durable car they purchased,� said GM vice president of Global Quality Alicia Boler-Davis. "We are sorry for any inconvenience caused by these actions."